I knew something was up this morning here in San Diego when I found a migrant Common Yellowthroat in my backyard in Pacific Beach. Now that is unusual and probably a sign to look further afield! So off I went for a quick tour of Fort Rosecrans National Cemetery. 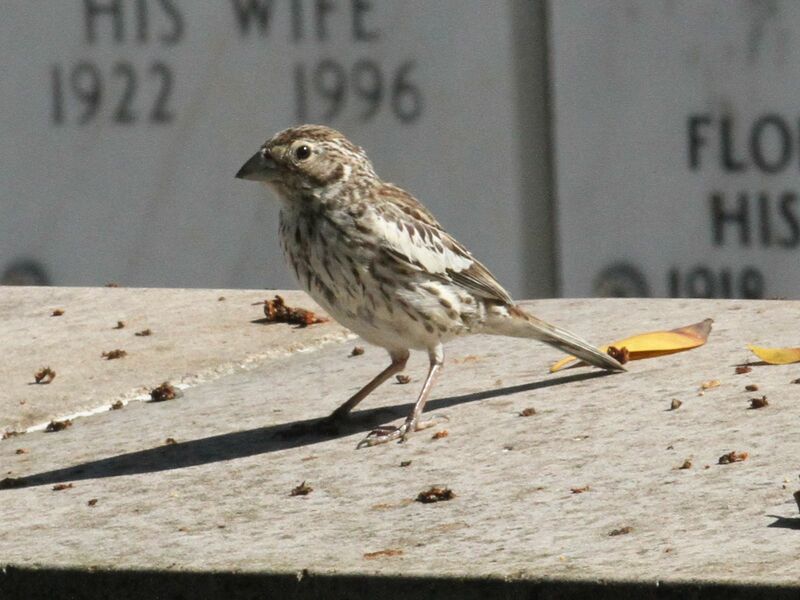 I was following a small flock of mixed birds in the northwest section, darting up and down from pines to the ground, when an enormous grosbeak like bicolored bird jumped up on a grave marker! Not a grosbeak though, showing off its big white shoulder epaulets this was a much rarer Lark Bunting Calamospiza melanocorys. I followed it around for just a few minutes obtaining some photographs before it hopped the north fence line and was gone! The enormous size of this “sparrow-like” bird can be appreciated when seen perched next to a diminutive Chipping Sparrow! 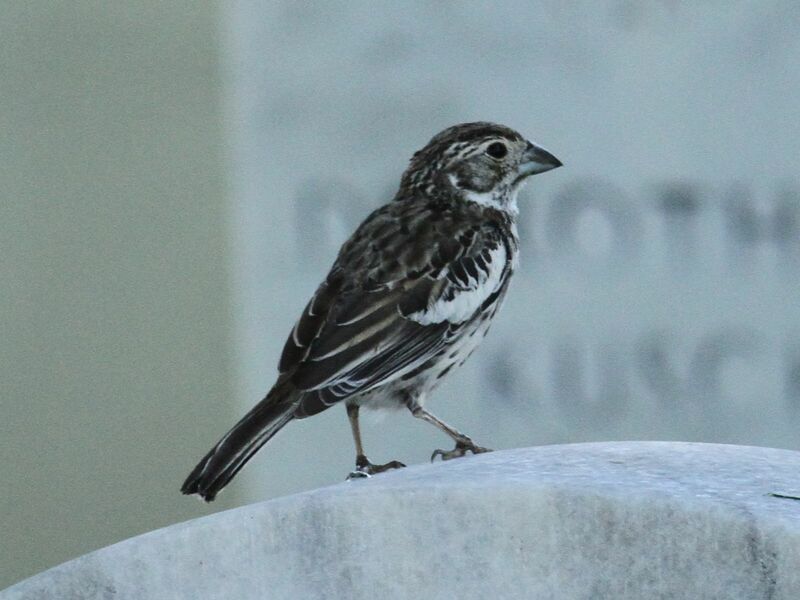 Standing together on top of the grave marker, the Lark Bunting looks as if it could almost tuck the smaller sparrow under its wing! Lark Bunting is a rare visitor to San Diego County and I had encountered another individual here almost one year ago on 18 Oct 2011. Last year seems to have been a bumper crop with another individual found by Paul Lehman on 6 Nov 2011 further east in the county in the agricultural field edges at Jacumba. 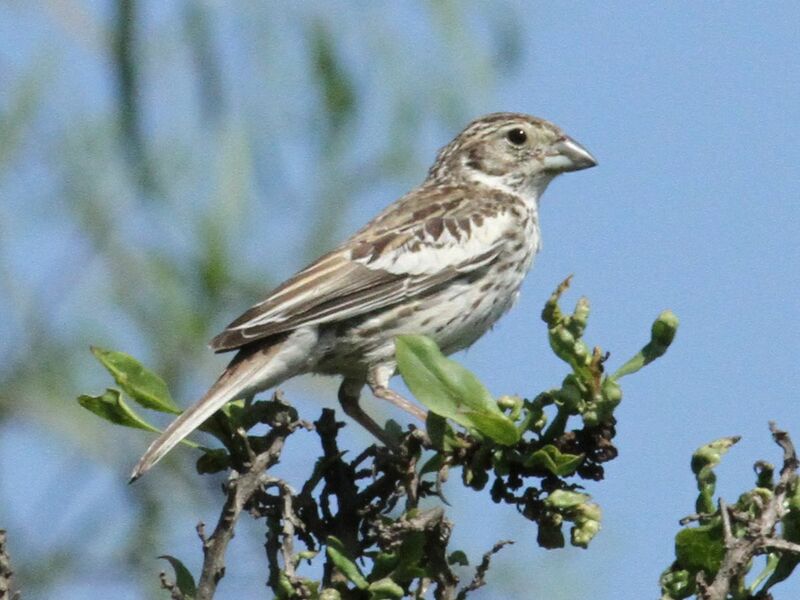 In recent years large flocks of this species have been observed in Arizona, sometimes numbering in the multiple hundreds of individuals per flock. Perhaps a wintering range expansion or increase in numbers could be driving the increasing frequency this species is encountered here on the California coast. Luckily the Lark Bunting reappeared later in the day and many other people observed it at the cemetery. 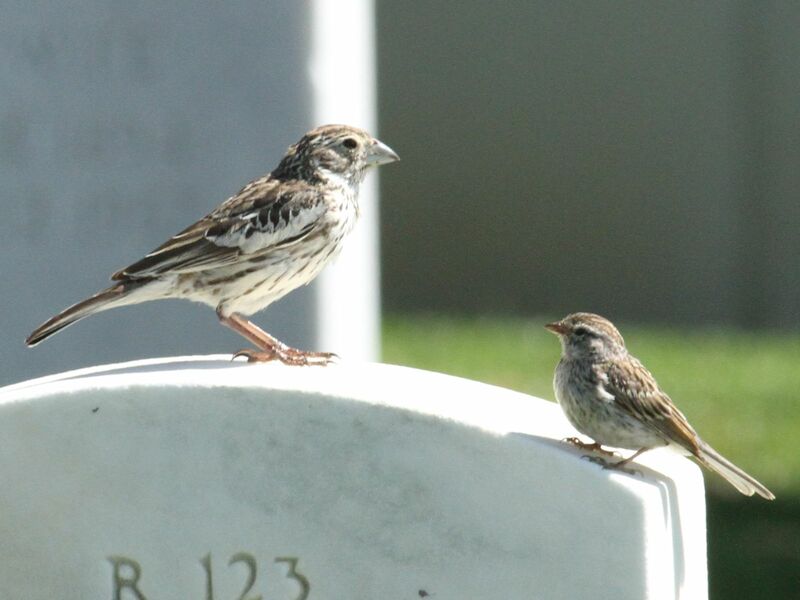 This entry was posted in San Diego County, Sparrows by Gary Nunn. Bookmark the permalink.